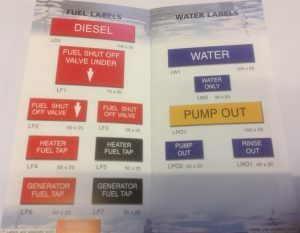 This is a sample of our boat safety scheme labels. These are supplied from stock either self-adhesive or with fixing holes. We can also custom make labels to your own design. Using wood and brass we can produce house signs, tonnage boards etc. 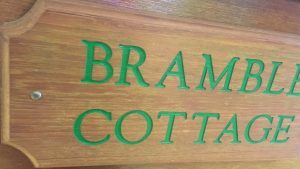 – from just machining the text to a finished sign infilled and varnished. We can machine your own supplied material or we can supply a range from stock or special sizes /finishes to order. 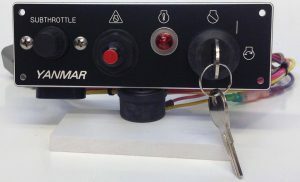 Using a range of materials – brass, stainless steel and plastics, we can produce all types of label requirements. We hold a wide range of colours and finishes for both interior and exterior use. Logos and symbols can also be engraved. We hold a large selection of engraving laminates in stock. 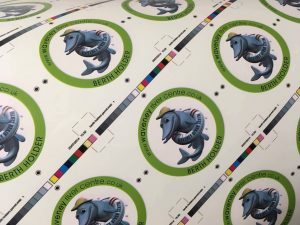 Our full colour digital print machine can produce self adhesive labels, cut to any size and shape. This is a very cost effective way for both high and low volume work. All our work is carried out in house giving us complete control over quality and delivery schedules.